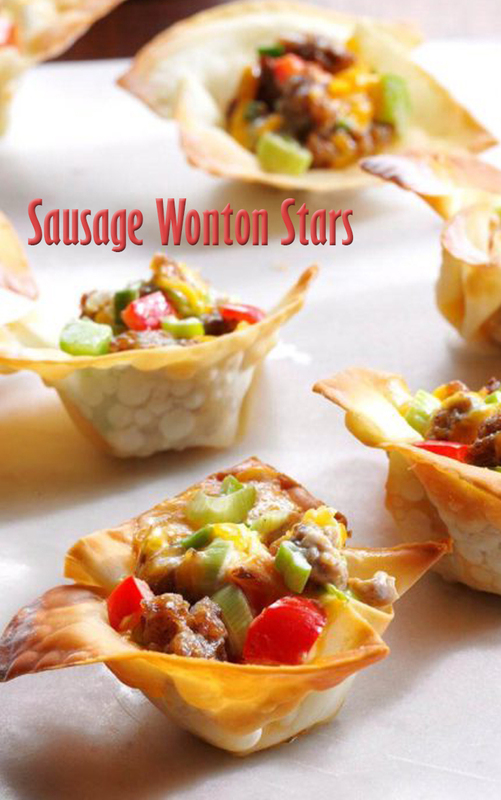 Lightly press wonton wrappers onto the bottom and up the sides of greased miniature muffin cups. Bake at 350° until edges are browned, about 5 minutes. In a large skillet, cook sausage over medium heat until no longer pink; drain. Stir in the cheese, peppers, onions and salad dressing. Spoon a rounded tablespoonful into each wonton cup. Bake until heated through, 6-7 minutes.